Events seem to be spiraling out of control and liberals seem to be in control of every facet of society. What should we do? Give up? Give in? Can things get any worse? And what if they do? What will you do in the face of adversity? Now is not the time to quit. There are some great examples of people who have overcome adversity, or should I say, succeeded in the face of adversity. They turned adversity into an incentive to see against the odds. Cunningham (1877-1956) was nicknamed the “Kansas Flyer.” Cunningham’s legs were burned in an explosion that killed his older brother. The burns on Cunningham’s legs were so extensive that the doctors recommended amputation. He had lost all the flesh on his knees and shins and all the toes on his left foot. Even so, eight-year-old Glenn and his parents refused the doctors’ recommendation to amputate. After extensive therapy sessions over a two-year period, Glenn was finally able to walk again. The boy who was told that he would never walk again set two world records in the mile run and competed in the 1936 Olympics where he won a silver medal. He came close to breaking the 4-minute-mile before he retired in 1940. The 4-minute-mile barrier was eventually broken by Roger Bannister in 1954. You’ve probably heard of surfer Bethany Hamilton. “During a surf session on Halloween morning 2003, Bethany was attacked by a 14-foot tiger shark, which bit off her left arm and seemed to end her career as a rising surf star. Miraculously, just one month after the attack, Bethany returned to the water and just over a year later won her first National title.” Her film Soul Surfer tells her story. Few people can say they’ve surfed Pipeline. 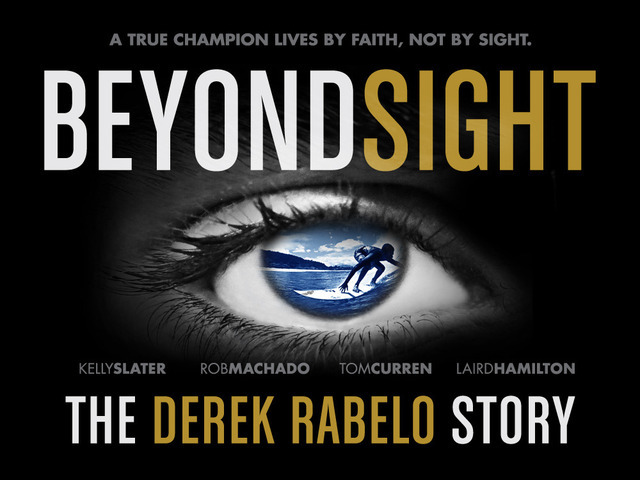 Derek Rabelo may be the only person who has surfed it blind. Rabelo was busy signing autographs and answering questions at the film’s March premiere in southern California, but he still made time to catch a few waves at a local surf competition sponsored by Soul Surf, a Christian surf organization. More than 100 “groms”—surfers under the age of 15—and older teens competed in six different age brackets with contestants scored on the waves chosen and skills displayed. But Rabelo was the highlight of the event: A crowd formed around him as he clutched his yellow board with one hand and the shoulder of professional bodyboarder Magno Passos, also from Brazil, with the other. A guide took him to the water where he used his keen senses to paddle out, feel the sets, time his drop-in, and skillfully maneuver his board along the waves. Maura Short came to watch 11-year-old daughter Megan compete, but her camera was trained on Derek as he surfed the break at San Clemente’s T-Street Beach. She said watching him go outside of his comfort zone was “inspirational” and a moment she didn’t want to miss. Rabelo’s father dreamed that his son would one day become a professional surfer and decided to name him after Derek Ho, one of the sport’s legends. When Rabelo was born blind on May 25, 1992, his father realized that his son might never set foot on a surfboard.